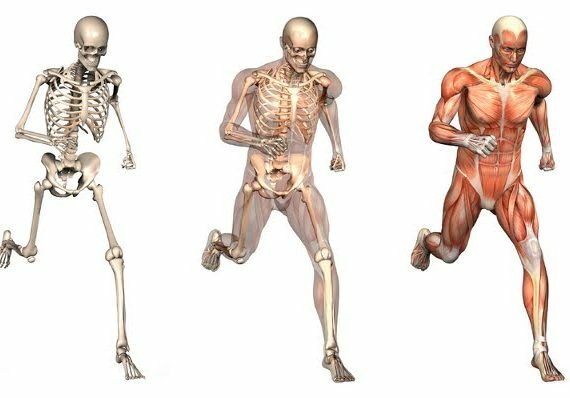 This programme, which has been introduced in 2015 and which replaces the previous MCEP programme, provides an opportunity for physiotherapists to undertake a comprehensive, post-graduate level course that will enhance their ability to diagnose and manage patients with disorders of the musculoskeletal system. Content is delivered over a series of weekends starting with an introductory course that is a pre-requisite to attending any of the other component weekends. As detailed below, this introductory weekend sets the scene for the remainder of the programme by ensuring that participants have a firm understanding of key knowledge and principles that relate to all of the other weekends. 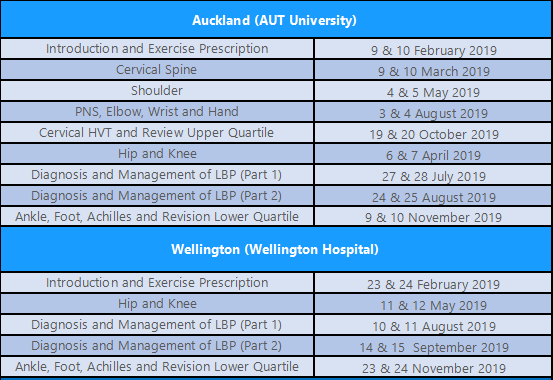 The remainder of the programme is made up of weekend courses which focus on the different body regions, with a consistent format of discussion of theoretical underpinnings, contemporary evidence-based principles, pragmatic clinical practice and practical demonstration and learning. The strong foundations of manual and manipulative therapy that NZMPA is renowned for, are inherent to this new programme. To attain the certificate, all components of the programme must be completed. Ideally, weekends should be attended in the order presented as knowledge and skills covered in early weekends is built upon over subsequent weekends. Provided the introductory weekend has been attended, some components of the programme can be completed as ‘stand-alone’. Please refer to the attached brochure for more information.